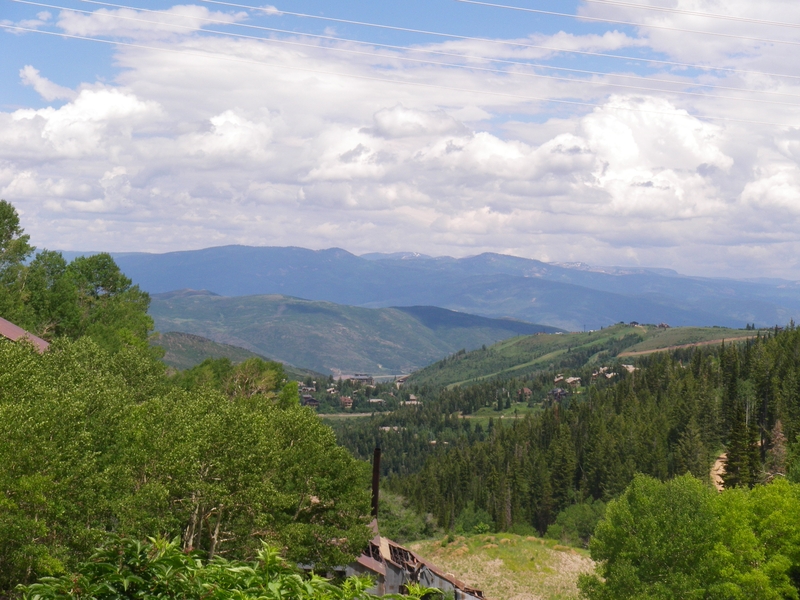 The back bone of the economy in Park City is tourism. People spend their vacations here to experience the area’s natural beauty, fresh air and dark night skies filled with stars. Located in northern Utah’s Summit County, Park City was founded in 1869 as a silver mining town, transformed into a ski town and is now the second fastest growing county in Utah. Unlike other Western resort areas that are bordered by public lands, our communities are surrounded by private property. Open space will continue to be an important asset as Park City and the Wasatch Back grows. Open space is generally seen as a way to set aside land for future generations in its historic use. Whether the open space was used for agriculture, forestry, wetland acting as flood control or wildlife habitat, these areas are all are in danger of development. Nationwide trends are showing that our country’s population growth has actually been slowing, however, open spaces are quickly vanishing at a rate of 6,000 acres a day! Over 65% of Utah is publicly owned open space in the form of National Parks, State Parks and Wildlife Preserves but many of these areas are distant from the majority of Utah’s population. We are not immune from the development of open space. Park City in conjunction with Summit Land Conservancy, Utah Open Lands and multiple other forward thinking organizations are currently working to protect a 1,350 acre parcel called Bonanza Flats. The parcel is a great example why open space preservation is important to growing communities. This high elevation meadow and forest open space encompasses important habitat for wintering wildlife, a watershed that supplies drinking water to a growing Wasatch county and endless year round recreation opportunities. Bonanza Flats illustrates the reasons we need to protect our open spaces; wildlife, environment and people. Open space directly benefits people because clean air and clean water are essential to our health. Studies are providing further evidence that people who spend time in natural open spaces have lower occurrences of health problems. So what can you do to help protect open space? Visit one of the fun community events offered by one of the land trusts, nature preserves or trail foundations. Summit Lands Conservancy offers a full moon ski tour. Swaner Nature Preserve offers a Saturday nature walk or why not donate your time/money to Mountain Trails to help maintain the 400+ miles of public trails we have here in Park City. As our communities grow we must act now to preserve the reasons why we are proud to call Utah home.